CHICAGO (WLS) -- Metra announced Monday it is selling two-day, unlimited ride passes for the annual Lollapalooza music festival in Grant Park. Lollapalooza runs from Aug. 3 through Aug. 6. Passes for Thursday and Friday, Aug. 3-4, are selling for $10 and are good for rides after 9:30 a.m. Passes for Saturday and Sunday, Aug. 5-6, are selling for $8 and are good for all day. The train passes are on sale at all ticket windows and on the Ventra app. "This is the fourth year we've partnered with Lollapalooza to help bring tens of thousands of festivalgoers to downtown Chicago," said Metra Executive Director/CEO Don Orseno in a press release. "With five downtown train stations within walking distance of Grant Park, Metra is a great travel option. Our goal is to make sure everyone gets to and from the festival safely." 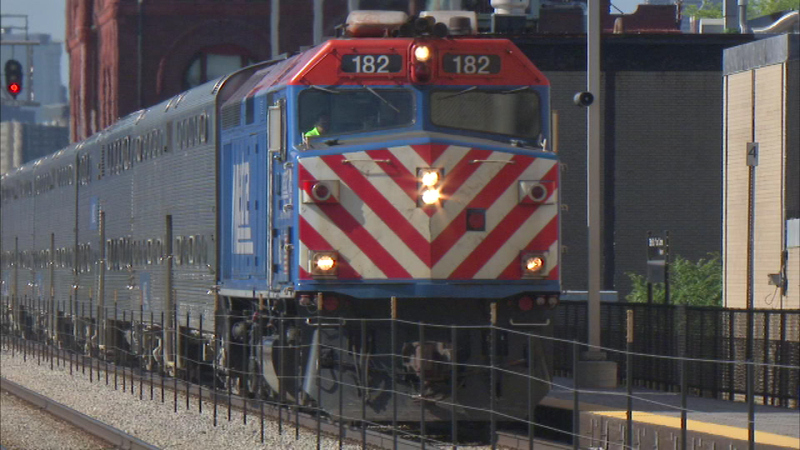 Metra is also holding a contest to win two, four-day tickets to Lollapalooza. Entrants must submit a photo or video on Instagram showing themselves with Metra tickets or a Metra schedule at train station or on board a train. The Instagram submission must also include a caption describing how the contestant used Metra and have the hashtag #Metra2Lolla. They must also follow Metra on Instagram (@metrarail).